When I met Lord Wilson in Cambridge after he retired from the diplomatic service, I told him the Beijing government did not and still do not understand how a capitalist society works. In a capitalistic society based on a Christian model of government and division of powers, money is only one consideration. There are other dynamic forces which may not be so tangible. The Beijing government seem to think that listening to the H K tycoons is the only way to obtain public opinions. Like what was said in the US, what is good to General Motors is good to USA. It turns out to be not quite correct. H K has to develop her own style of artistic culture. Unfortunately H K parents do not seem to spend time and money in their children to cultivate the kind of talents which can develop into artists who are world class. 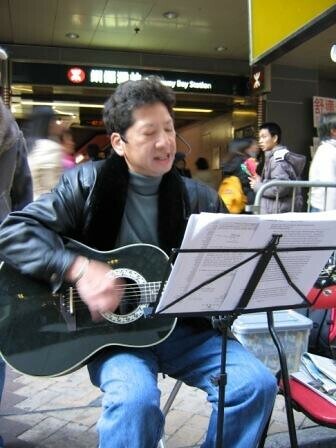 If you ask the typical Hong Kong person, he or she would rather have money than culture. Otherwise there won't be so many junk books in chinese about Li Ka Shing on the market. Even Henry Tang asked the young people: Why can't you be Li Ka Shing. Why did he not ask H K youth to be Yo-Yo Ma? Or even Sun Yet San? I read this piece of writing fully on the topic of the comparison of newest and preceding technologies, it's remarkable article.